For the mourning of Kenji Goto who was killed by ISIL, now Dasyn sells a special version of empty globe with characters “I AM KENJI” on the Pacific Sea at “デイシン Dasyn” in Yahoo shopping Japan. 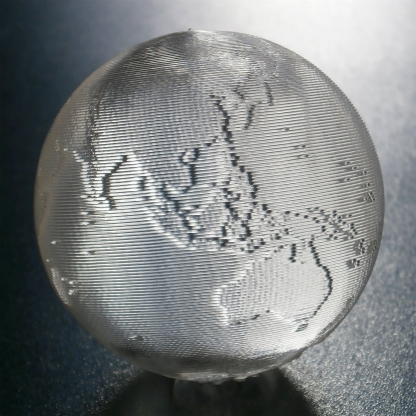 Dasyn began to sell small empty globes printed by originally-developed 3D-printing method at “デイシン Dasyn” in Yahoo shopping Japan. The globes are created by stacking a single role of filament. Lands and seas of these globes are distinguished by thickness of filament (printing speed).